As an early education provider, Tender Years Academy programs (Preschool, Pre-K, and Kindergarten) are certified by the Pennsylvania Department of Education and taught by certified teachers. In order for a teacher to be certified, he or she must hold a Bachelor’s degree, must have a 3.0 overall cumulative GPA, complete an approved program leading to certification in their requested area, and meet all other Pennsylvania requirements related to citizenship, moral, ethical and physical/mental fitness. Tender Years, Inc. is licensed by the Pennsylvania Department of Human Services. Certification is a requirement for all child care and early education providers serving four or more unrelated children. 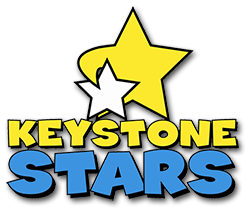 At Tender Years, Inc., each of our centers participates in the Keystone STARS program. While this program is voluntary, we feel it’s an important demonstration of our commitment to the children we educate and care for. Star ratings (ranging from one to four) are awarded to facilities that meet certain criteria in quality, use of qualified teachers and age appropriate curriculum, and more. Our Hershey and Mechanicsburg centers are currently rated as STAR 3 centers, and our Camp Hill location recently attained their STAR 4 rating. Both Hershey and Mechanicsburg are well on their way to earning a STAR 4 designation as well! Central Penn Parent is the region’s premier parenting publication. 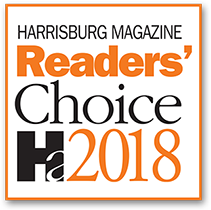 Their annual readers’ poll, called Family Favorites, gives parents throughout Central Pennsylvania an opportunity to vote for their favorite local businesses. 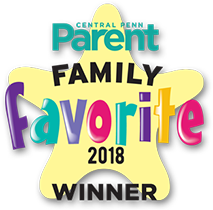 Tender Years, Inc. is proud to be a perennial Family Favorites winner, as it serves as recognition of the hard work and dedication that our staff commit to our children every day. Tender Years has been recognized for Best Child Care Center, Best Preschool, and Best Summer Camp! 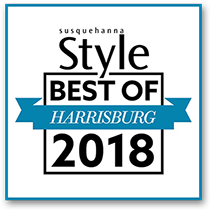 Harrisburg Magazine’s “Simply The Best” Poll has long been the area’s most visible contest. Every year, businesses await the summertime announcement of who has been crowned “Simply The Best” and “Readers’ Choice” by the popular magazine and their readers. Over the last several years, Tender Years has been recognized as both “Simply The Best” and “Readers’ Choice” in the childcare category. Susquehanna Style is a regional magazine focused on Central Pennsylvania’s finer things. We are pleased to have been recognized for three consecutive years as “Best of Harrisburg” Day Care Center. 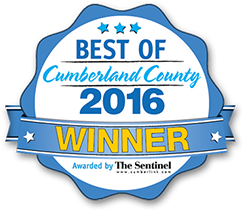 The “Best of Cumberland County” (previously known as the “Best of West Shore”) Poll is conducted by The Sentinel and Cumberlink.com. It gives readers of the publication an opportunity to vote for their favorite businesses in Cumberland County. Our Camp Hill and Mechanicsburg centers are proud to have been recognized as “Best of West Shore” or “Best of Cumberland County” in the Daycare Center category.